PHILADELPHIA (WPVI) -- Game on. The Philadelphia 76ers are joining 16 other teams in the inaugural season of the NBA 2K eSports League. The league is set to debut in 2018. The 76ers made the announcement Thursday morning. In September 2016, the 76ers became the first professional sports team in North America to acquire and manage an eSports franchise, Team Dignitas, which fields six teams in five of eSports most popular games, including League of Legends and Heroes of the Storm. A few months later, in February 2017, the NBA and Take-Two Interactive Software, Inc. announced plans to launch a new, professional competitive gaming league that will bring together the best basketball gamers in the world. "Since our acquisition of eSports franchise Team Dignitas in September 2016, we've had the opportunity to immerse ourselves in this incredible eSports industry. In only a few months we've created strong relationships with game developers, come to a better understanding of the training and development needs of the eSports athletes today, and generated corporate partnerships that give brands a direct portal into the burgeoning market," Chad Biggs, Philadelphia 76ers, Senior Vice President of Corporate Partnership and Activation, said. The following NBA teams will be joining the 76ers: Boston Celtics, Cleveland Cavaliers, Dallas Mavericks, Detroit Pistons, Golden State Warriors, Indiana Pacers, Memphis Grizzlies, Miami Heat, Milwaukee Bucks, New York Knicks, Orlando Magic, Portland Trail Blazers, Sacramento Kings, Toronto Raptors, Utah Jazz and Washington Wizards. "The Philadelphia 76ers, the NBA, Team Dignitas - these are storied, global brands with massive international fanbases eager for player access, original content, live events, and more. The NBA and forward-thinking franchises like the Sixers are the most innovative entities in the sports industry today. When you combine that industry experience and desire to grow the game of basketball, with the eSport fan's insatiable appetite for content and unparalleled expectation for player access, the result will be a league of epic proportions and opportunities for partnership and growth," Team Dignitas CEO Jonathan Kemp said. 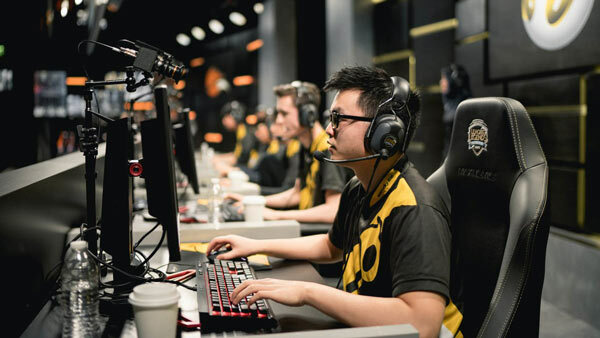 Last month, Team Dignitas announced they would be the first North American eSports team to live stream on both Twitch and Facebook. According to the NBA, global eSports market grew 41 percent from $493M total revenue in 2016 to $696M in 2017. By 2020, the eSports industry is expected to grow to $1.5B worldwide. More information about the NBA 2K eSports League is expected in the upcoming weeks.